The Kiribati Children’s Campaigners Network (KCCN) is partnering with KiLGA, to involve Council youth groups to run anti-corruption campaigns and inform the local leaders and communities about corruption and help prevent and stop it. The programme is supported by UNDP which has allocated $1,000 towards it. Nine outer islands have been selected to participate because of their reliable internet connections and nearness to Tarawa. In a letter to Mayors involved, KiLGA explained that such activities as composing songs, drama, stories and performing them, would be ideal. As this is a trial, it is hoped that the remaining Councils will be involved once additional funding are received. 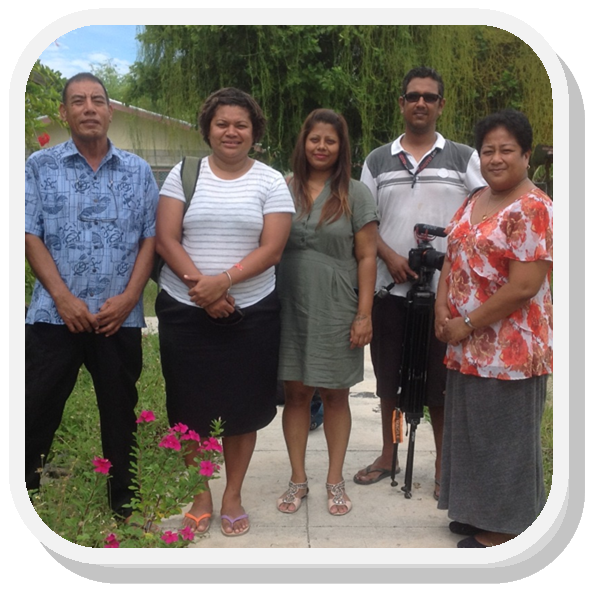 A three -person team from the South Pacific Tourism Organisation (SPTO), visited the KiLGA office on Tuesday, 1 December, to film an interview with the KiLGA’s Executive Officer, on the role of Councils and the Local Government Association in tourism planning and development in Kiribati. KiLGA is promoting tourism on the outer islands where the environment is pristine and healthier, traditional culture practised and an increase in visitors can contribute to the Councils’ earnings and the economy. 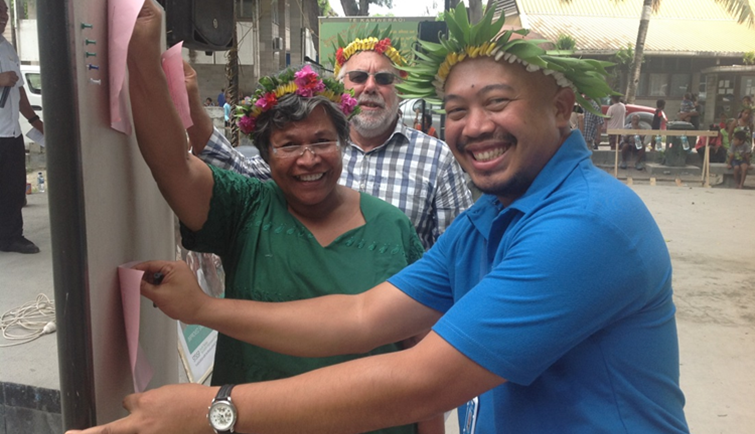 Tuesday, 1 December, Parliament, Ambo – KiLGA participated in the Kiribati Family Health Association’s (KFHA) launching of the report ‘Engaging Boys and Men in Sexual and Reproductive Health’, thereby strengthening the partnership between them. The report was produced and published by the NZ Parliamentarians’ Group on Population and Development, with contributions by various Pacific stakeholders, including KFHA. The launching was officiated by Hon. Maere Tekanene, Minister of Education, who was also a participant during the open hearing sessions, that led to the final production of the report. 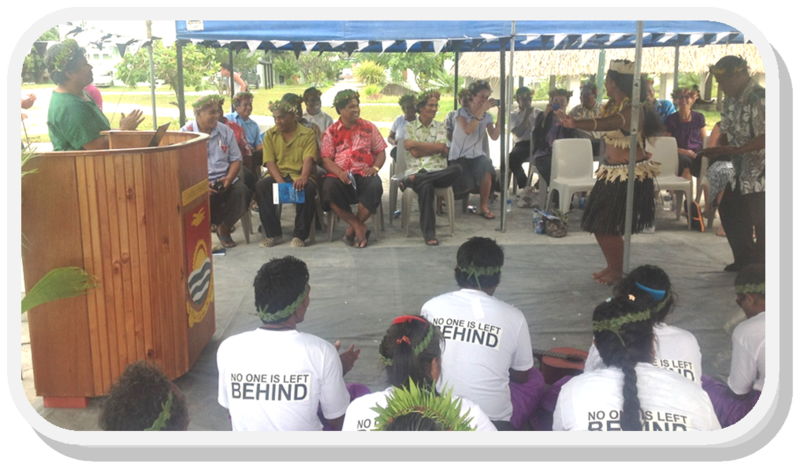 The Toamatoa Community, comprised of persons with disability, attended in full force and performed the garlanding and other dance items. Other invited participants included Councillors and MPs from TUC. Tuesday, 1 December, Bairiki Square – The “KWinS” Policy, short for ‘Kiribati Wash in Schools’, was successfully launched by Hon. Maere Tekanene, Minister of Education witnessed by hundreds of participants, students and entertainers, with the proceeding broadcast live by Radio Kiribati, nationwide. The Policy’s main aim is to ensure that all school children in Kiribati have full access to safe drinking water, suitable and clean sanitation facilities and improve hygiene practices in their schools and local communities, at all times, to meet their basic human rights, educational, social, cultural, physical, emotional and learning needs. The Minister, in her remarks thanked the New Zealand government and UNICEF for their assistance, while the the New Zealand High Commissioner, Don Higgins, whose government had invested over a million dollars in the project, asked the the policy be implemented fully to benefit the children and communities. KiLGA is a member of the KWinS Steering Committee and represents the Island Councils that run preschools, and Mayors who make ideal champions in the advocacy for WinS on their islands.